The cinema is an effective medium for artists to express thought-provoking ideas and instill emotions in their audience. In this regard, it is an even more conducive form of language than the other art forms like literature, music or painting as it combines them all together. Time and again there come movies which are a more than just popular entertainment. These movies present ideas so profound that they linger on in the minds of the viewer, sometimes for days after they have seen it. Here is the list of most thought provoking movies ever made. You can watch some of these best though provoking movies on Netflix, Hulu, or Amazon Prime. Perhaps more so than any other film here, the experience of watching David Lynch’s masterpiece made me question what I thought about cinema and fiction in general. It’s a surreal, disturbing investigation of dreams, fantasies and crushed ambitions. Lynch uses the form itself to manipulate the audience and then point out how easy it was to do it – because we wanted to be manipulated. He sets up expectations that are either subverted entirely or completely ignored. The film can be funny at times and scary at others but, much more memorably, is painful to watch. It’s painful to see Lynch point at us from the screen and say exactly what’s at the back of our minds. It’s a film that utilises formal technique as well as cultural expectations to say something about the very nature of why we want to sit in the dark and escape into a screen for a couple of hours. Because of that, it will stick with me forever. I really didn’t get Taxi Driver the first time I saw it – I think I was too young at the time. I knew everyone loved it and that “You talkin’ to me?” was one of the most recognisable movie quotes of all time. It was certainly violent and adult but my expectations were not met. So, I came back a little bit older and a little bit more experienced in life and suddenly I saw it. I saw it all. It spoke on such a profound level – so viciously real and so unrepentantly relatable – that it had gone completely over my head the first time. When I came back and saw it again, I felt like it was made just for me. 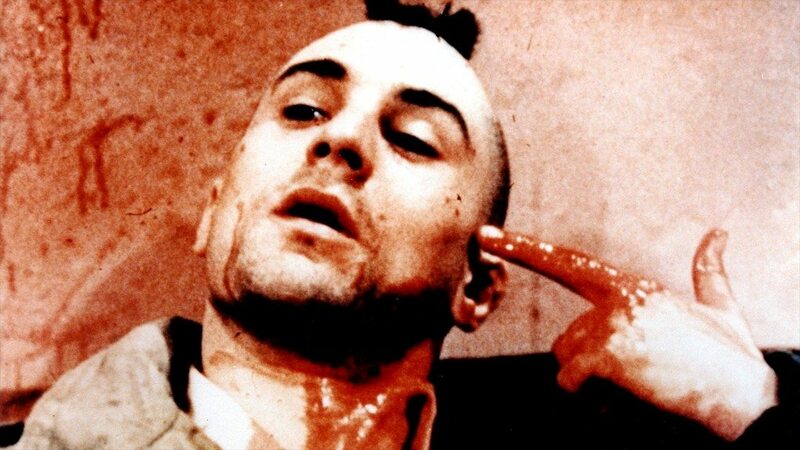 At some point in our lives, we all feel like Travis Bickle. Scorsese knew it, Schrader knew it and De Niro knew it, which is why we have an uncompromising, raw and feverish look at hell by way of New York City. 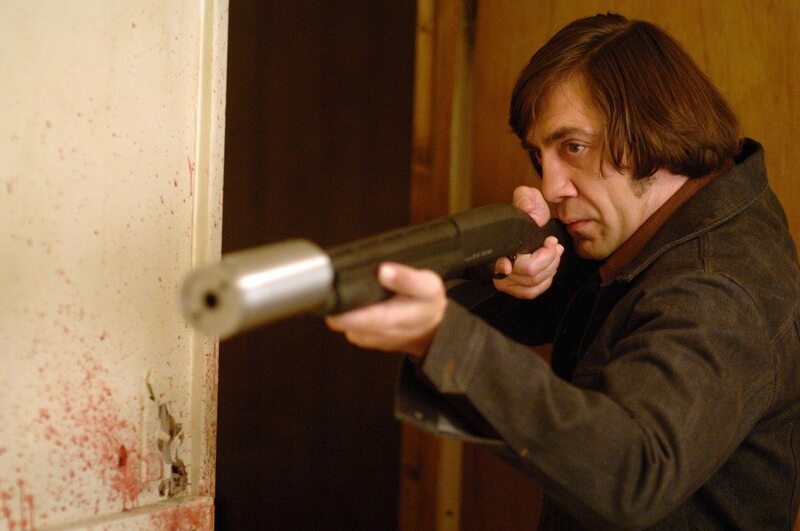 For a long time, the Coen brothers’ No Country for Old Men was my favourite film. Not only is it maturely directed, masterfully edited and perfectly shot (by the genius that is Roger Deakins) but it confronted me with themes that I hadn’t come across before. It showed me a harsh world where the bad guy gets away with the money, the good guy dies failing to protect his wife and the law man quits because the world isn’t what is used to be anymore. That is, according to him. According to others, the world has always been this way – he just hadn’t accepted it. I hadn’t seen this world before. The world of Llewelyn Moss, Anton Chigurh and Sherriff Ed Tom Bell tipped what I had come to expect from a thriller entirely on its head. It changed the way I saw the world and it changed the way I saw movies. ‘The Truman Show’ is a movie so philosophically moving that it almost makes us forget Jim Carrey’s majorly comedic reputation. Carrey plays the role of Truman Burbank, a man whose entire life has been a TV show set inside a massive studio. All the people he has ever known were hired actors and all the things that he has been ever been through were scripted and telecast to millions of people worldwide. This intriguing plot is a damning satire on the increasingly mechanistic and bland lives that people are leading, devoid of any meaningful interactions or honest emotions. Truman could as easily have been any working man with a 9-5 job, a marriage without attachment and a house full of corporate products that they don’t need. 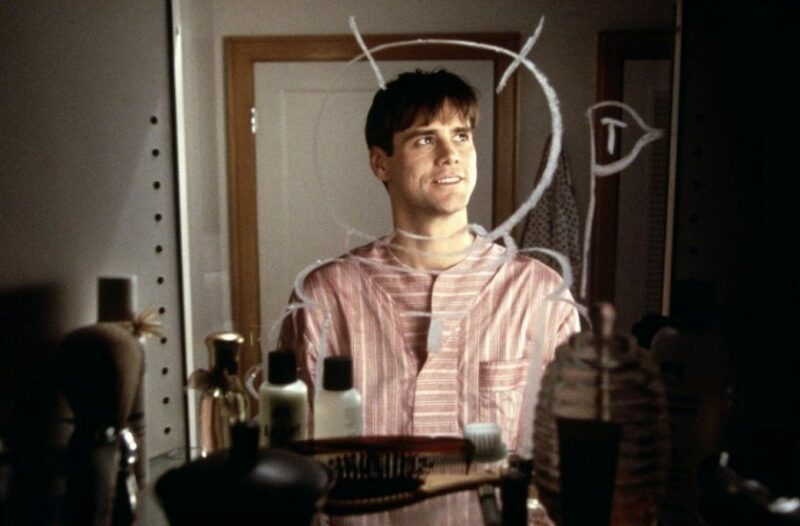 Although by the end, it seems that ‘The Truman Show’ misses out on being much more shrewd, it does leave you thinking about your own self and how mundane or exciting your life can be. Easily, one of the most thought provoking movies ever made. Seldom does a movie so intelligent and political deliver as thrilling all-out action as ‘V for Vendetta’ does. Even rarer is for it to leave such a lasting impression on our brain. Set in a dystopian Britain ruled by a Kafkaesque tyrant, ‘V for Vendetta’ follows a vigilante freedom-fighter in a Guy Fawkes mask as he plans to overthrow the government with the help of a young girl, Evey, played by Natalie Portman. The film is so provocative and moving, that it makes us root for anarchy and destruction. It paints such a bleak picture of our future as a society that you are forced to think. With its articulate dialogue and engaging plot, ‘V for Vendetta’ makes us cherish the freedoms that we enjoy. ‘V for Vendetta’ works on many levels which impact almost every viewer in one way or the other. The exhilarating action in this film, with scenes of buildings exploding with fireworks, makes it even more unforgettable. ‘The Pursuit of Happyness’ is probably one of the most emotionally stirring movies of modern times. This film is essential viewing and must be seen at least once by everybody. It follows the daily struggles of a salesman, Chris Gardner, as he is forced to live on the streets with his son. Desperate for a steady job with a good pay, he begins training as a stockbroker while working hard to sell his devices at the same time. 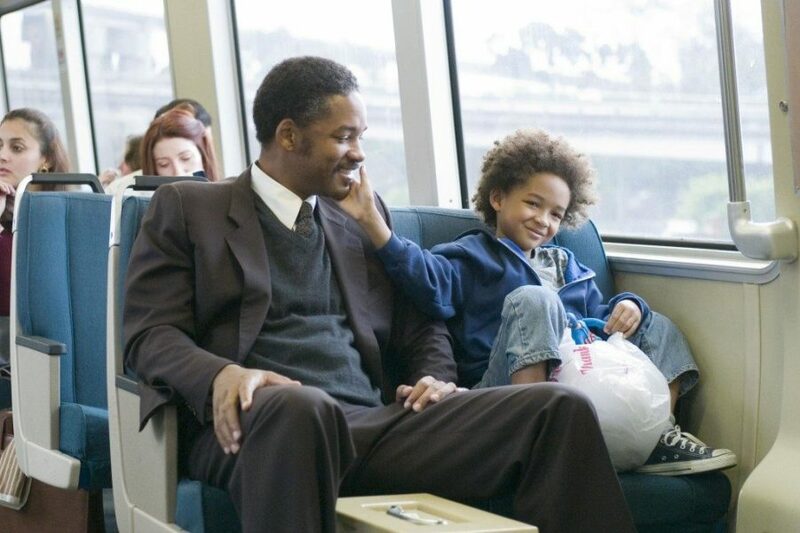 ‘The Pursuit of Happyness’ is a hard-hitting yet uplifting film that is also emotionally dense. It shows the sacrifices and hardships that a father will endure just to make his child’s life better. After watching this movie, one realizes how casual and oblivious they have been to their parents’ struggles. What makes this film even more awe-inspiring is that it is based on the true story of now multi-millionaire Christopher Gardner. ‘The Man From Earth’ is a rare science-fiction movie that does not rely on computer graphics and special effects to be compelling. The film is set mostly in a single room of a house where a group of scholars are having a goodbye-party for a fellow professor, John Oldman. From this simple premise, the plot becomes thicker and thicker until it has us completely captivated and in awe. John Oldman is revealed to be a Cro-Magnan, a ‘caveman’ who has lived for nearly 14,000 years and changed with the changing times. 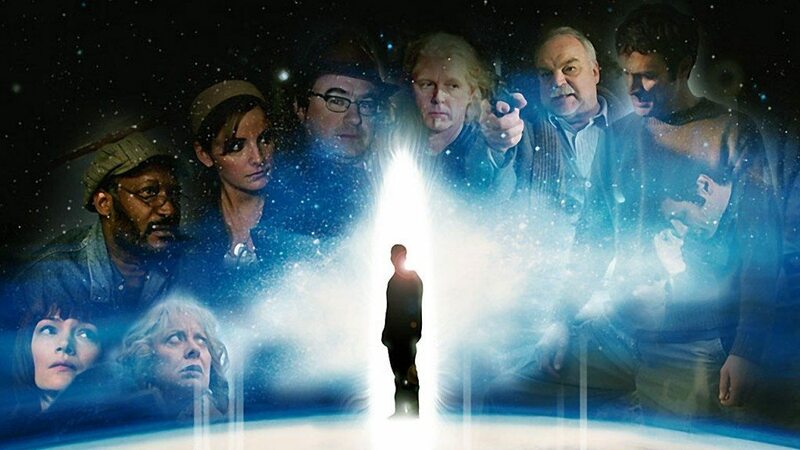 ‘The Man From Earth’ is an engaging and provocative movie that demands our complete attention and engrosses us in its ideas. The film will leave you questioning your own beliefs of what is possible and whats not. The way the film unpacks its story with suspense and drama makes it particularly thought-provoking. It lingers so prominently in your thoughts that many are compelled to re-watch it again and again. 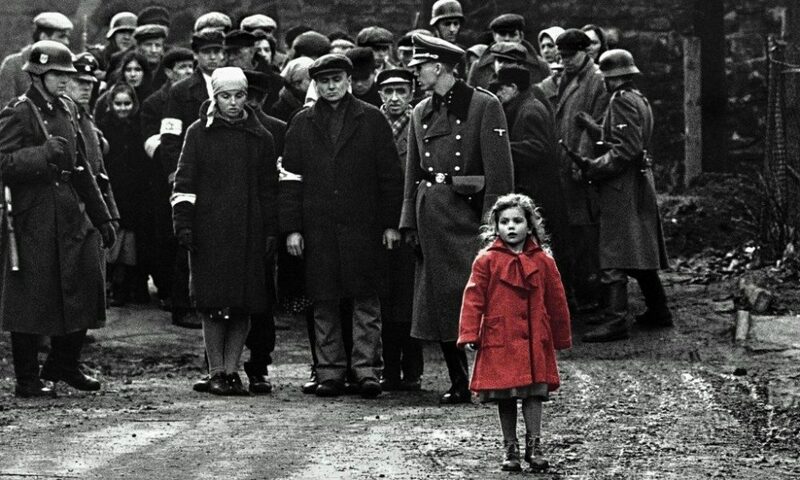 The Holocaust in Nazi Germany has been portrayed in countless movies, but few of them are as hard-hitting as Steven Spielberg’s ‘Schindler’s List’. It tells the story of a businessman in occupied Poland, Oskar Schindler, who protects his Jewish workforce from the atrocities of the Nazis. Shot in black-and-white and with brilliant performances by Liam Neeson and Ralph Fiennes, this movie leaves you overwhelmed and dismal. For those that didn’t grow up under the gloom of World War II, watching this film can only be a minute realization of the gravity of those awful times. Watching ‘Schindler’s List’ is like going through a roller-coaster of extreme emotions. The movie shows a bitterly raw and realistic take of the inhumane life of Jews under the Nazis, ending in the barbaric concentration camps. 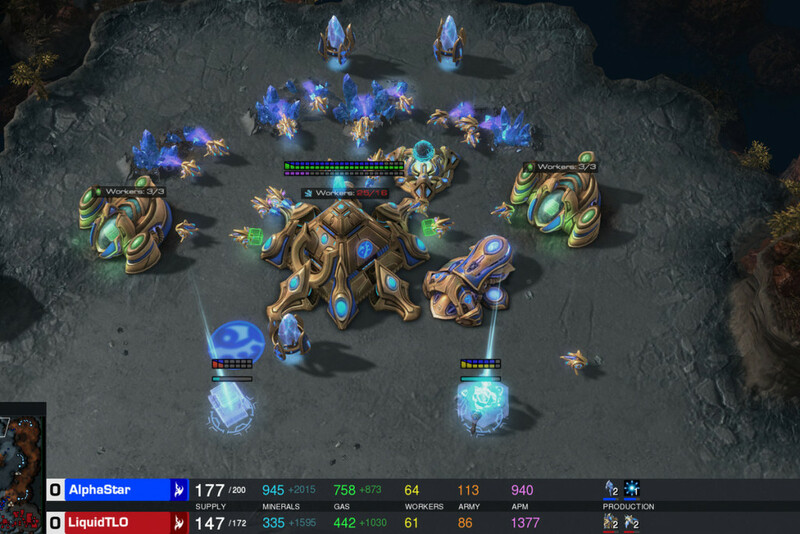 It leaves a permanent mark on its viewers and leaves them thinking. The fact that Oskar Schindler and the many lives he saved are not fictitious makes this film much more evocative. ‘Toni Erdmann’ is a German comedy film and one of the best films to have come out in 2016. This is a must-watch for those of us who believe that the cinema has decayed from the good-old days. The movie follows a perennially busy employee of a big company, Ines, and her droll father, Winfried, as he tries to bring some excitement into her mundane life by playing practical jokes. It is a brilliant satire full of sardonic humor so astute that you cannot help but think about how it connects with your own life. We are left progressively in splits and in disbelief as we see Winfried invading Ines’ corporate lifestyle by posing as her CEO’s life coach. He puts on a wig and false teeth, leading her from one potentially embarrassing situation to another as she tries hard to live her bland corporate life. There are some moments in the film that are so wonderfully crafted that they are impossible to forget for a long time. ‘Toni Erdmann’ is easily one of the most daring, contemplative and thought-provoking films of recent times. Sofia Coppola’s brilliant comedy drama film ‘Lost in Translation’ is often regarded as one of the best films of the 2000s, and rightly so. This charming and evocative film follows a faded actor and a melancholy young woman as they bond in Tokyo while going through a low-point in their lives. Both of them are dealing with problematic marriages and going through an existential crisis. They start doing stuff together, enjoying each other’s company because of their common predicament. Being able to see the crisis affecting both, a young Scarlett Johansson and an older Bill Murray, there is a lot for us to take back from the film. 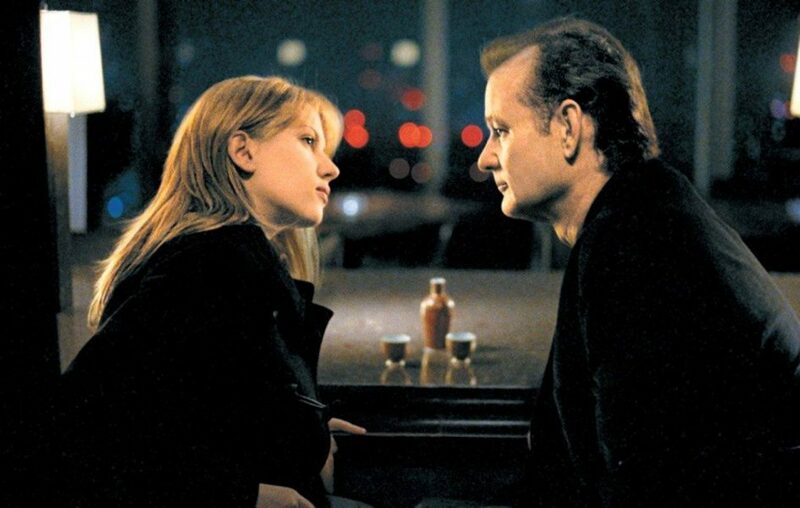 ‘Lost in Translation’ is especially brilliant due to its quality of being philosophical without being preachy and emotional without being melodramatic. With moments of subtle humor, mind-blowing acting and the exceptional cinematography, it leaves you with so much on your mind that it demands multiple viewings. Further, the ending of the movie is particularly profound – Bill Murray is leaving for the airport possibly never being able to see Scarlett again, just when they catch-up teary-eyed and Bill whispers something in her ear that we are not allowed to hear! Based on the true story of Christopher McCandless, a college graduate who left behind all his money and possessions to live in the wilderness of Alaska, ‘Into the Wild’ will leave you feeling claustrophobic in the concrete jungle of city life. With Emile Hirsch playing the role of Christopher, the film follows his journey into an untamed and unpredictable life full of adventure and interesting people. His philosophy of reliving the most ancient of human conditions makes for an intriguing watch. Most people have a perpetual desire for travelling to uninhabited locations and going on adventures but hardly any actually do so. 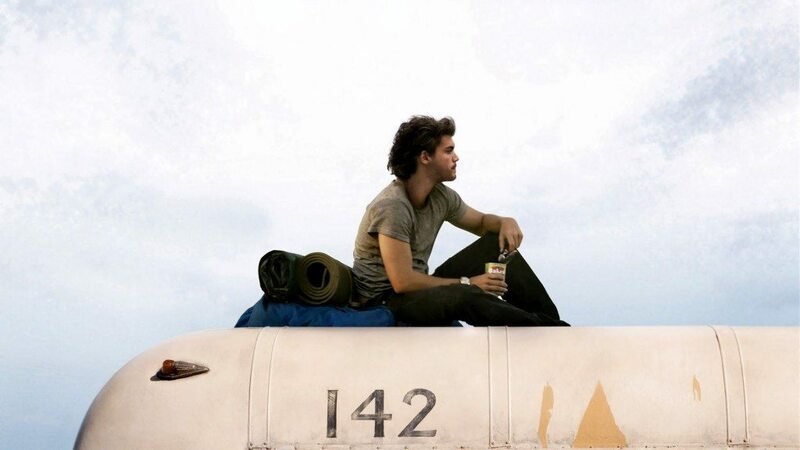 For them, ‘Into the Wild’ is an even more thought-provoking movie as it inspires to live spontaneously and on your own terms. Also starring Kristen Stewart, this film deserves to be seen for the inspirational portrayal of McCandless’s life and the philosophy therein, which makes excellent food for thought. The second film in director Richard Linklater’s ‘Before’ trilogy, ‘Before Sunset‘ continues Jesse and Celine’s atypical relationship of brief encounters and long conversations, this time in Paris. This film is very heavy on intelligent dialogue which leaves its mark on our minds on one level or the other. The conversations are so deep, meaningful and engaging that even though they seem spontaneous, we feel they aren’t. Linklater’s masterful direction and skillful long takes make ‘Before Sunset’ stand out as a unique realistic film. The characters spend their time together with painful patience, even though there is an underlying feeling of affection so overwhelming that it causes occasional outbursts in them. They weave their conversation trying to get answers to the many questions occupying their minds. This film is a welcome change for the romantic-drama genre that is plagued by cheesy and over-dramatic bores. Jesse and Celine’s engaging encounter in Paris will surely capture your imagination for a while even after the film has ended. 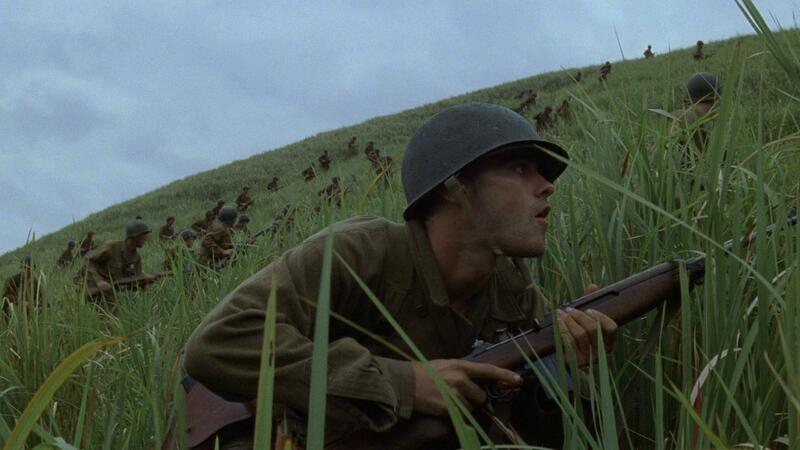 Even though every Terrence Mallick movie deserves to be on this list, ‘The Thin Red Line’ supersedes the others due to its horrifying and ironic setting. Set in the Guadalcanal theater of the Second World War and following the Allied campaign to liberate it, this film explores various deep ideas that may seem out of place in a traditional war film but this hardly is a traditional war film. Boasting a massive star-cast with Sean Penn, John Travolta and George Clooney, the film immerses you in a frightening place and makes you see the beauty in it, leaving you in deep thought about what you have witnessed. Watching ‘The Thin Red Line’ only once is almost futile because there is just too much to take in, although its central idea is simple – war is meaningless. 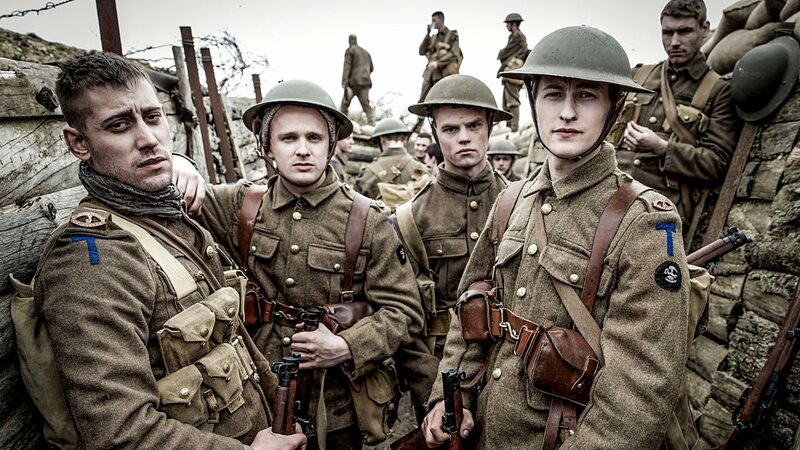 The film gives a human narrative to war yet it is implausible in many senses. The captivating cinematography of Mallick alone is worth watching this film for. It is one of the most rewarding and thought-provoking cinematic experiences and a rare one that lasts longer than its run-time. 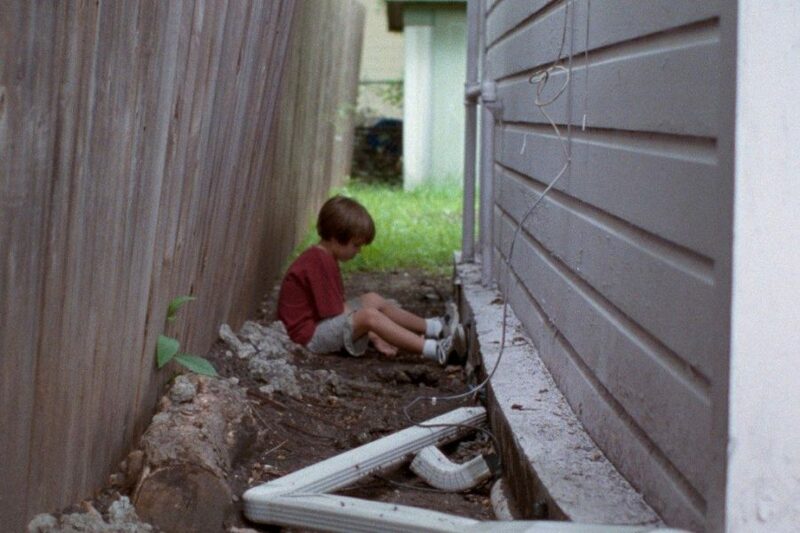 ‘Boyhood’ is one of the most unique, elaborate and ground-breaking undertakings in cinema. It was filmed over 12 years with the same cast, effectively re-imagining cinematic realism. Directed by Richard Linklater, it follows the life of Mason from early childhood till his arrival in college. Along this journey, we witness his coming of age as he grows up amid various difficult situations due to his parents’ divorce. The premise itself is emotional and the film takes it up a notch with its patient and non-judgemental take. Linklater leaves a lasting impression with ‘Boyhood’ that causes us to introspect thoroughly. This film presents almost every scenario that an average child may go through while growing up. While in the beginning, it is a story specific to Mason, the movie steadily moves towards generalization as it progresses. 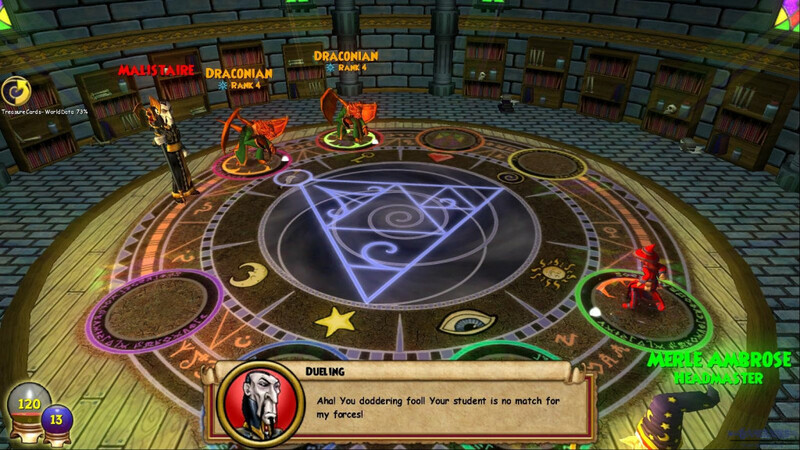 There are some brutally honest and intense moments which will be all too relatable. If ‘Boyhood’ doesn’t stir feelings and thoughts in you, few other films will. 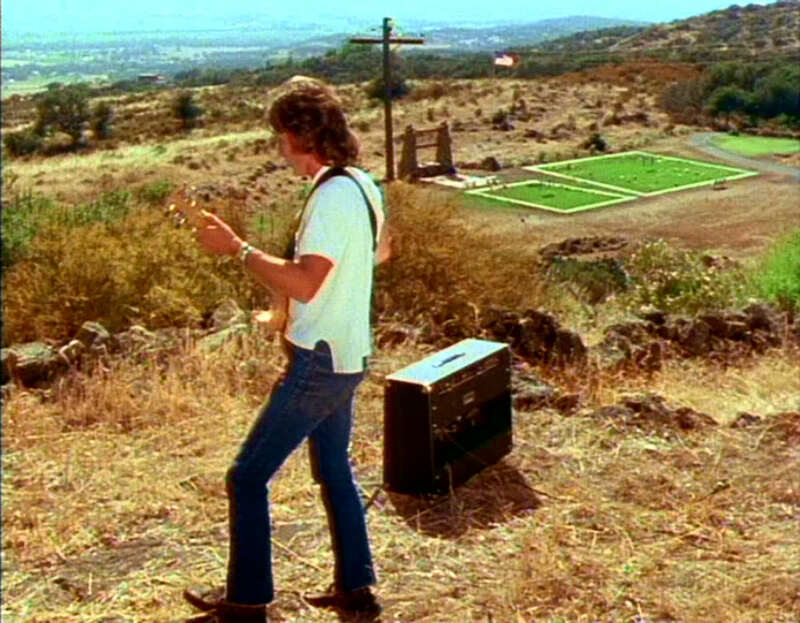 Wim Wenders has his own unique style of film-making and has made some great movies like ‘Paris, Texas’. However, ‘Wings of Desire’ is arguably his most evocative and profound work. It follows an angel overlooking people in Berlin until he falls in love with a trapeze artist and wishes to become a human to win her over. This movie touches so many aspects of modern human life that every viewer takes away something different from it. Stylized further by its beautiful shots and cinematography, watching this movie is undoubtedly an unforgettable experience. 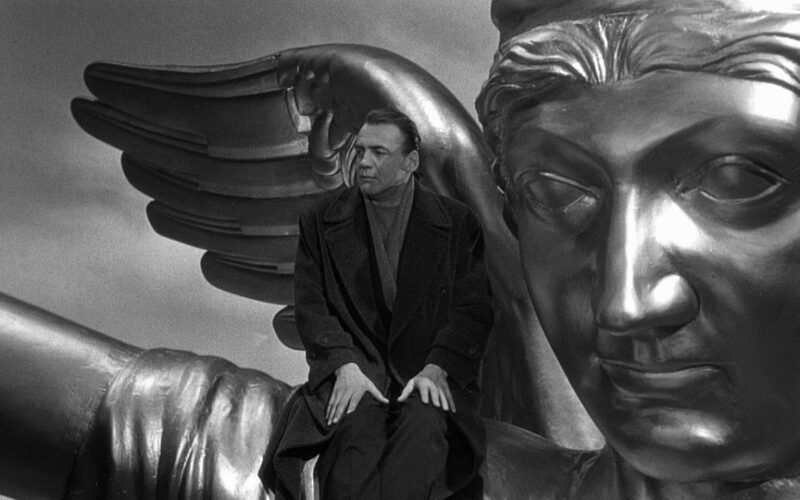 ‘Wings of Desire’ imagines that many angels are watching over us and we are never alone, no matter what. They can only be seen by human children. The film repeatedly evokes the innocence of a child as compared to the hard-boiled seriousness of an adult. It is both melancholy and inspiring, pragmatic and fantastical. It is hard not to think about ‘Wings of Desire’ and its depth for a long time after seeing it. If not for its philosophy, this movie is a must-watch for its crafty and stylistic story-telling method. If you only watch one movie on this entire list, watch ‘Inherit the Wind’. Undoubtedly one of the most brilliant courtroom dramas to ever be brought on celluloid, this movie is tense, dramatic and hard-hitting beyond the benchmarks set by traditional movies. The story follows a case about a schoolteacher accused of the ‘crime’ of teaching Darwin’s Theory of Evolution as it goes against the Biblical notion of the world being created by God. The age-old battle between science and religion is explored to great effect in this film, that will probably lead you to revisit your own beliefs. The case is fought by two great lawyers, including one played by the excellent Spencer Tracy, and becomes very hyped in the media. The people’s passions reach fever heights as they take out massive processions against the science lobby. But the film isn’t as one-dimensional as it seems, which is all the more reason why it is so thought-provoking. The fact that it is in black-and-white makes us concentrate singularly on the articulate arguments being explored in the film. ‘Inherit the Wind’ is one of those films that makes you wonder why you didn’t see it before. It is very rare for a movie with an all-star cast of Jim Carrey, Kate Winslet, Mark Ruffalo, Kirsten Dunst and Elijah Wood to rise above popular entertainment. It is also rare for a fantasy sci-fi movie to touch heartfelt themes and produce great drama. But ‘Eternal Sunshine of the Spotless Mind’ checks both these boxes. It tells the story of a couple, Joel and Clementine, who decide to undergo procedures to get each other removed from their memories after they break-up. However, during the mind-bending procedure, Joel realizes that he still loves Clementine and fights to retain some of her memory in his mind. This mesmeric plot forms this film’s central appeal and is complemented further by some wonderful acting. This movie can be enlightening and can leave a significant impression on your mind. The film is crafted beautifully and the memory sequences are particularly lasting. It is dense with well-developed characters, each with their own quirks that add up to a meaningful whole. The uplifting ending of the film certainly leaves some hope yet for the contemporary human relationship. You may like it or love it, but you certainly won’t forget ‘Eternal Sunshine of the Spotless Mind’ easily. Errol Morris is one of the biggest names in documentary film-making, and ‘Gates of Heaven’ is the biggest name in his filmography. On its surface, this is a film about a pet cemetery in California suffering from financial collapse, from where dead pets were dug up to be relocated. But, as the renowned critic Roger Ebert remarked, “its about a lot more than just pet cemeteries”. The film is heavily laden with grief, poignance, irony, solitude, humor and almost every other human emotion thinkable. The fact that it is a documentary and every person in the film is a real human telling a real story makes it infinitely more effective and thought-provoking. It will leave you deep in thought and make you appreciate humanity with all its countless quirks. The way Errol Morris has woven the tales of the people in the pet business with those of the pet owners into such a profound narrative deserves praise. The movie shows interviews of the people who got the idea to start a pet cemetery, their rival rendering industry which disposes of dead animals in a factory, both their families and the people who owned pets that are now dead. The honest emotions of all these people are expressed articulately in their own words, with some moments of such expressive nature that it is almost bone-chilling to see it on a movie-screen. One such moment comes towards the end of ‘Gates of Heaven’ when a lady who has lost her pet dog says – “There’s your dog; your dog’s dead. But where’s the thing that made it move? It had to be something, didn’t it?” Given the grim subject matter, this film is bizzare in its comedy, enjoyability and reflection. It is an essential watch for all cinephiles and is perfect for a Sunday afternoon when you have the time to soak it all in.